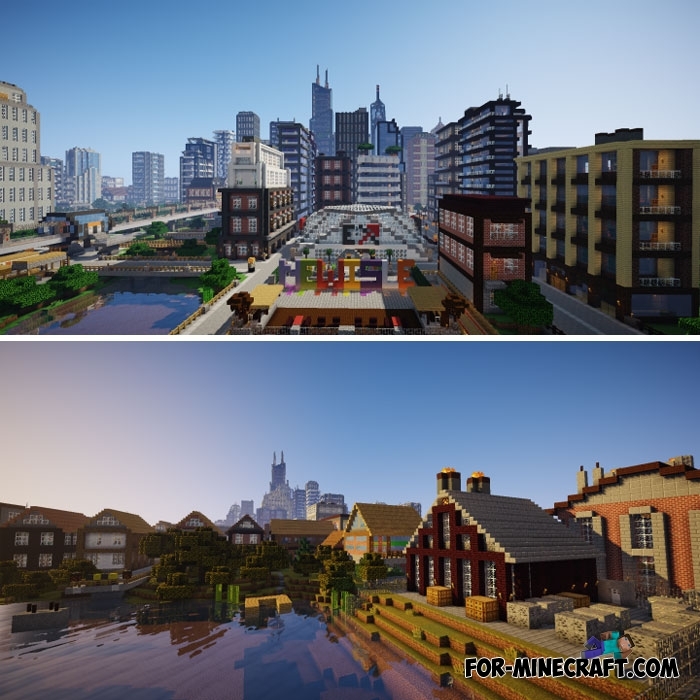 City of Newisle is huge and amazes you with its scale, it is one of the largest cities existing in Minecraft PE. 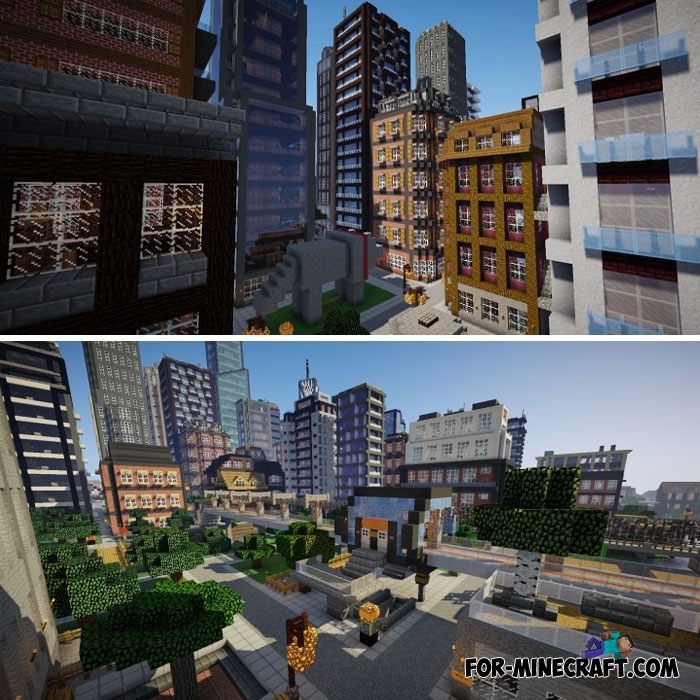 Here is a ported version of the city, which contains many areas, buildings and interiors. The creator spent more than 6 years to build it and eventually it turned out a wonderful city. 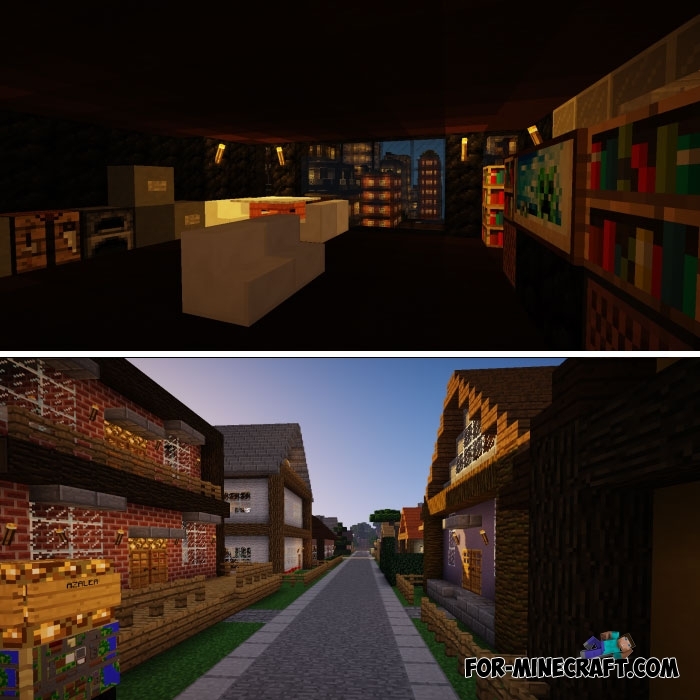 More than 500 ready-made buildings, inside of which you will find beautiful and unique interiors. A huge network of roads connecting parts of the city together. A railway passes through the city. A unique navigation system, each street has a name and you can easily find a house if you want to become a postman. Absolutely different styles of buildings. There are historical buildings, modern houses, skyscrapers and miniature living quarters. The City of Newisle has very dense buildings, the houses are very close and you will get the impression that the buildings are built on each other. Lags are possible, so reduce the number of chunks. Beautiful Modern House for MCPE 1.0.0/1.0.3Modern House consists of three floors, many rooms and places of recreation..